THE NELIG STONES Middle-Grade Fantasy Adventure Author Sharon Skinner hits it out of the park in this Middle-Grade portal fantasy. Stefani and Robbie aren't friends. In fact, they can barely stand each other. But when they find themselves magically transported to a land where dragons rule and faeries carry swords, their only way back home is to work together and find the five magical talismans known as the Nelig Stones. But the dark dragon, Ashkell, and his villainous advisor Greenback, are also searching for the powerful Nelig Stones and plan to use their magic to usurp the Anorian throne and seize control of the realm. Through perilous adventure, and with the help of some unusual companions, Stefani and Robbie learn that things aren't always what they seem, that inner strength and friendship are mighty powers that can stand against even the darkest magic, and that home, while not always perfect, might not be such a bad place after all. Dragons and fairies and fireworms, oh my Follow Stefani and Robbie on the adventure of a lifetime. More than a quest adventure, The Nelig Stones is also a story about growing up and owning up, with a heaping helping of dangerous magic thrown in for good measure. Sharon Skinner holds an M.A. in Creative Writing. Her work has appeared in a number of local, national and international publications and she served for eight years as the Executive Editor of Anthology magazine, a small press literary magazine published in Mesa, Arizona. She is an active member of SCBWI (Society of Children's Book Writers and Illustrators) and serves as the Assistant Regional Advisor for SCBWI AZ. 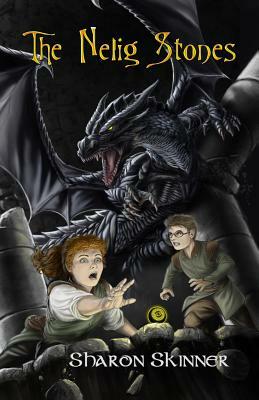 Her fantasy novel, The Healer's Legacy, was published by Brick Cave Books in May 2012.